It consists of an insulated storage tank with a capacity of around 30 to 80 gallons of hot water and is regarded as the most widely used form of water heater in many households. This type of water heater can be either powered by electricity, oil, liquid propane or natural gases. However, it will depend on the existing services that are available in your home as a convenient source of power. How Does Conventional Storage Water Heater Work? The storage tank is fitted with a temperature gauge that measures the heat level of the water. The tank has a preset temperature level that prompts the units kick to heat up the water if the temperatures drop below the set level. This sequence of heating is repeated each moment for 24 hours a day and every single day whether you are in your home or away. It’s a convenient heating mechanism that will ensure you have hot water anytime you need it even if you are prompted to pay for heating water all the time including when you don’t want it. This type of water heater also comes in different sizes small or big and you need not worry whether you are alone or you have a large family. At All Week Plumbing, we have quality conventional heaters for our clients including different sizes to choose depending on the family needs. They are also well insulated to ensure maximum heat conservation to hold heated water throughout any period of time. 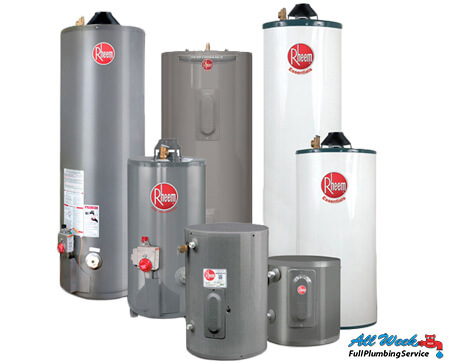 Be certain to get your water heater installed and operating on the same day you consult us and purchase your new hot water heater tank because our installation process is always quick and successful. We strongly advise to either turn off the power supply or switch to pilot position if you are using gas as a source of power before you start any work on your water heater. 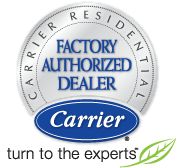 Our technicians are available around New Jersey around the clock to provide all sorts of water heaters repairs and replacement as required for both residential and commercial properties. Cleaning up clogged residue and other dirt material by draining and washing out all the water in the conventional water heater at least twice a year. Testing and checking the condition of the pressure relief valve to ensure its operating and performing as required.